What Is Halo Heat, and How Does It Affect Cook and Hold Capabilities? Chefs who have tried to utilize a cook and hold process or have needed to hold foods in a heated holding cabinet have probably experienced disappointment when returning to find overcooked and dried out food. In fact, many chefs consider these to be necessary evils. But the reason for the dried out and overcooked food is not the notiion of cooking or holding, it's how that food is being held. Traditional units use fans to distribute heat throughout, and that air and heat is usually too hot and harsh for food. In some cases, temperatures can be 20 times hotter than the food itself. It's no wonder the product has deteriorated in quality, and because of the resulting evaporation, lower yields can also be expected. But all of these unwanted consequences are unnecessary thanks to Halo Heat® technology. Halo Heat was inspired by the Green Bay Packers. That's right. Halo Heat was inspired by the Green Bay Packers. In the late 1960s, the owner of a Wisconsin Chicken Delight franchise was looking for innovative ways to keep his chicken hot during the cold winter months, and as he was watching the famous Ice Bowl, he realized an electric thermal cable was run under the field to prevent it from freezing. And because the heat was gentle and even, it dawned on him that it could be used on more than just the Frozen Tundra of Lambeau Field. Since then, overcooked, dried out, shrunken protiens have been a thing of the past for chefs who use Halo Heat technology as part of their cook and hold and holding cabinet solutions. Its gentle, radiant heat evenly surrounds food without the use of extremely hot elements, added humidity, or a fan. Instead, Halo Heat features a low-density thermal cable that is wrapped around the sides and bottom of the unit's cavity. The cable emits even temperatures and pulses on and off throughout the cooking and the holding process. This cable provides precise, low temperatures with minimal intensity, leaving food full of moisture and flavor. There is no forced evaporation or harsh heat to degrade food quality. Whether holding food for an upcoming service or for merchandising, Alto-Shaam’s hot holding and cook and hold equipment is designed to make time stand still in terms of product quality. This allows for food preparation outside of busy service times, flexibility, and less waste. 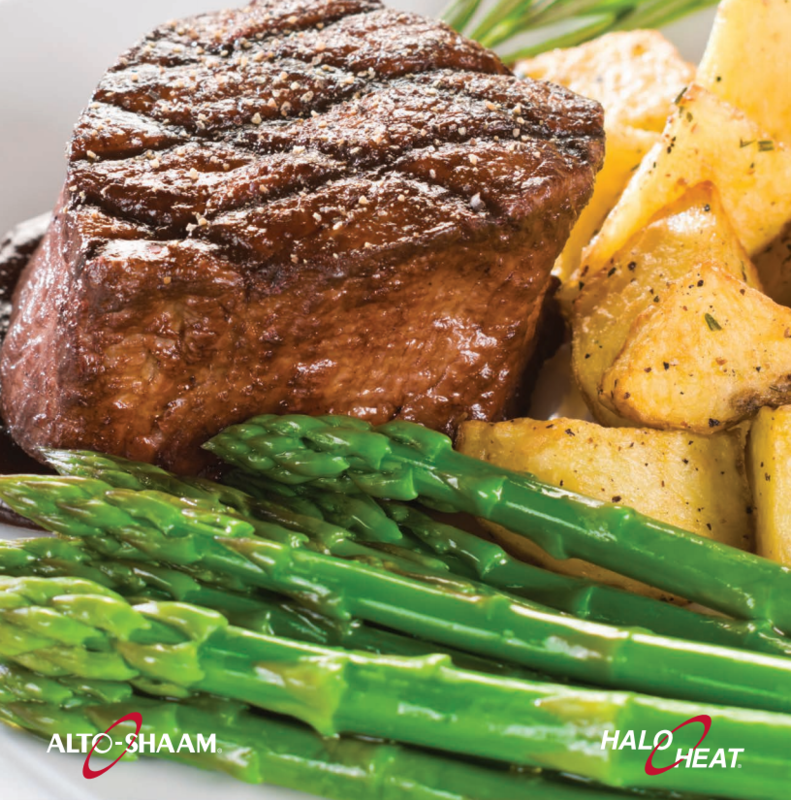 When meat is placed in an Alto-Shaam heated holding cabinet powered by Halo Heat technology, it still comes out juicy and naturally tenderized. It also emerges with a higher yield percentage than traditional holding cabinets, which means greater savings for foodservice operators. Ready to find out how much you can save using Halo Heat technology? Try out our free yield calculator. We're always looking for suggestions! Copyright @ 2016 Apex Commercial Kitchen Co.